Architect: Turner Partners Architecture, L.P.
Square Footage: 43,000 sq. ft. 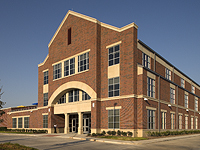 Serving as the high school facility for The Village School Campus in West Houston, this 3-story building provides a number of functions to the student body. The first floor includes a library and reading area, cafeteria and kitchen, as well as offices for faculty and the Dean. 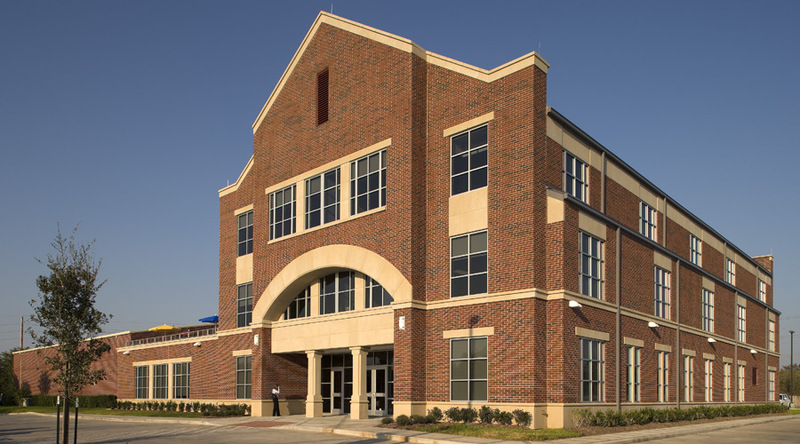 The second floor includes classrooms, laboratories and three orchestral/music rooms. 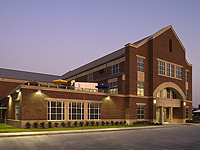 This floor also boasts a 3,500 square foot roof top plaza clad with adjustable-height stone pavers, providing a unique feature as compared to other area high schools. The third floor serves primarily as classroom and lab space. The extensive use of cast-stone arches and coping around the entire building required structural steel support in all such locations across the façade. The largest arch, located at the entry and serving as the primary signage for the high school, spans 30 feet and, as such, required a combination of large structural steel tubing, paired with rolled steel angles and miscellaneous steel hangers to create the proper shape and torsional resistance to the permanent dead load of the stone. Similar detailing was required at the cast stone coping at the gabled roof eaves. Brookstone (the general contractor) used extensive field welding to properly locate the steel to the tight tolerances required for the stone mortar joints. 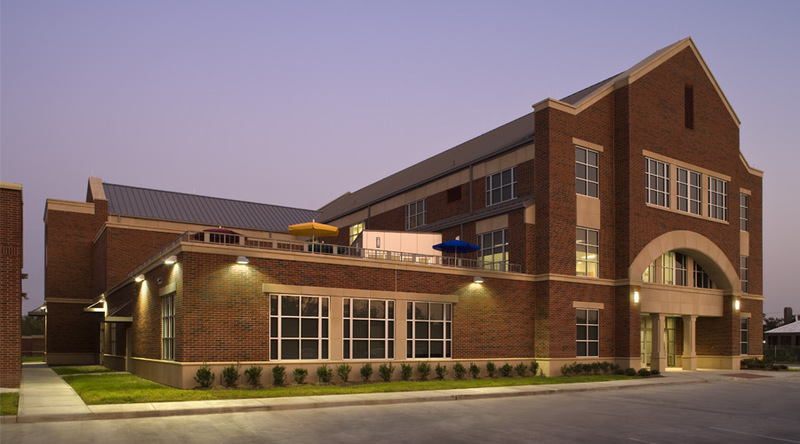 Structural steel was the primary structural material used on the project. 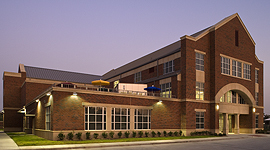 The second and third floors were constructed using composite steel systems. The steeply-pitched roof was constructed using steel bar joists and metal deck. The elevator shaft was located within a three-run ‘U’-shaped stair, so steel tube columns and beams were designed to provide lateral support for the elevator rails, as well as, to support the light-gage elevator shaft framing. Steel framing was also required to construct a substructure within the masonry knee-walls, around the plaza, and to support the steel railing above.